It’s gorgeous to look at. It has peepholes. It rhymes. lt’s perfect for autumn. 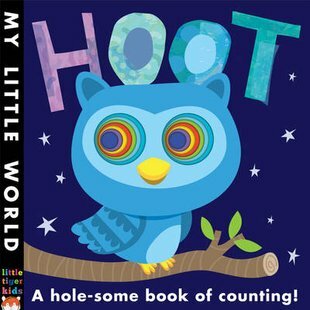 Hide and seek play with tiny owls: count all the ways you love it. It’s not often we see a peephole book as special as The Very Hungry Caterpillar. Let alone one that can match it for all the things it helps you learn and do. But here’s one. A book full of rhymes to read, colours to name and five sweet little owls to count. Plus peepholes to wiggle your fingers through! All with truly lovely colour art of soothing moonlit scenes. The nicest way to learn and get in the mood for bedtime.